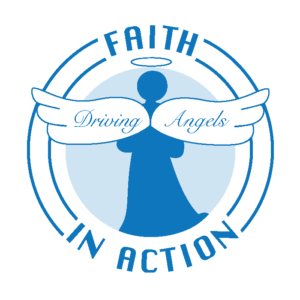 Faith in Action is a network of interfaith, volunteer caregiving service providers with hundreds of locations throughout the United States. It was initiated by the Robert Wood Johnson Foundation, a national charity dedicated to improving the health and health care of Americans, headquartered in Princeton, New Jersey. The purpose was to provide start-up monies to create community volunteer programs across the country to serve people who are isolated or home bound due to long-term health conditions as the result of old age and/or disability. The initial grants were made in 1984. Over the course of twenty years, more than 1,500 local programs were funded and many continue to serve people with long-term health conditions. A major focus of Faith in Action is provision of volunteer assistance to those who need assistance with normal, everyday activities due to a health conditions.Faith in Action is a privately funded program developed and supported by a private foundation – not by the government. Faith in Action volunteers typically come from churches as well as the community at large. Volunteers help people by providing non-medical assistance with tasks such as providing a ride to the doctor, visiting with people on a regular basis and helping with grocery shopping or home maintenance. Faith in Action Edwardsville/Glen Carbon began in March, 1998 and the requests for our services continually increase. Since we began 19 years ago, we have 90 active volunteers and are currently serving 260 care recipients. In nineteen years we have served over 1,000 local seniors and have provided over 18,000 services for more than 350,000 miles driven.